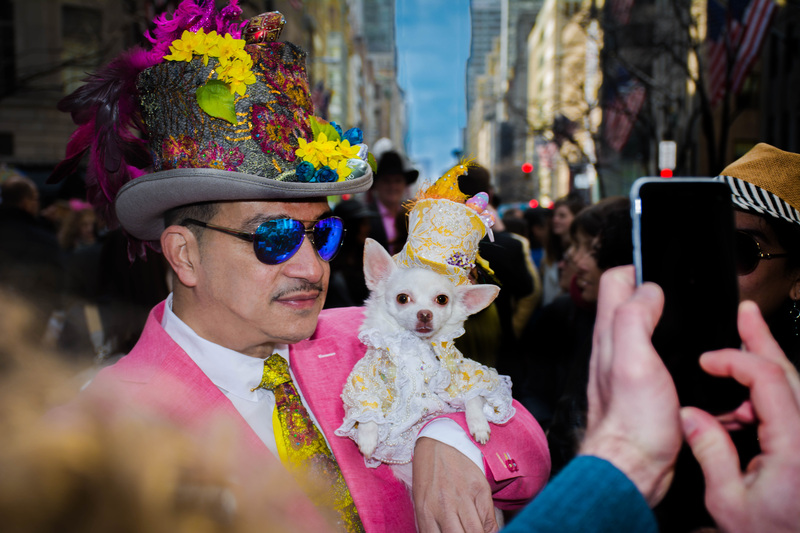 Anthony Rubio and Chihuahua Bogie and Kimba attend the 2016 Easter Parade and Bonnet Festival with in New York City. 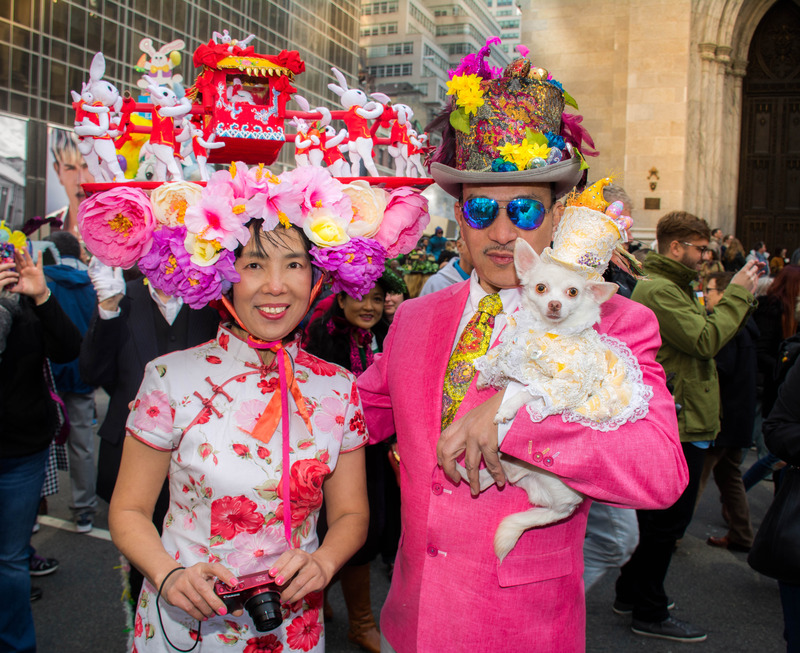 Kimba and I had a wonderful time participating in the 2016 New York City Easter Parade and Bonnet Parade on fashionable Fifth Avenue. We hope one and all had a blessed day. 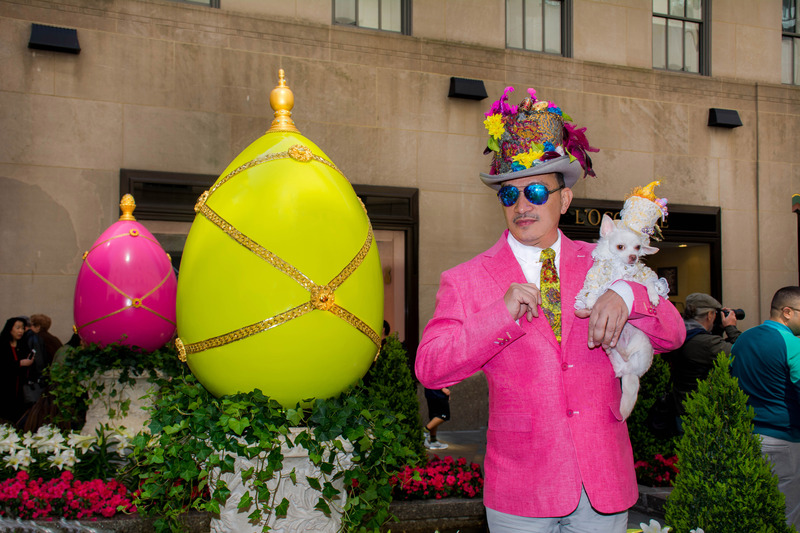 Kimba’s elaborately decorated yellow tuxedo encrusted in faux pearls and crystals with matching signature top hat featuring a pheasant embellished with crystals and miniature colorful eggs as well as my fabulous top hat and coordinating naughty tie created by Anthony Rubio Designs. 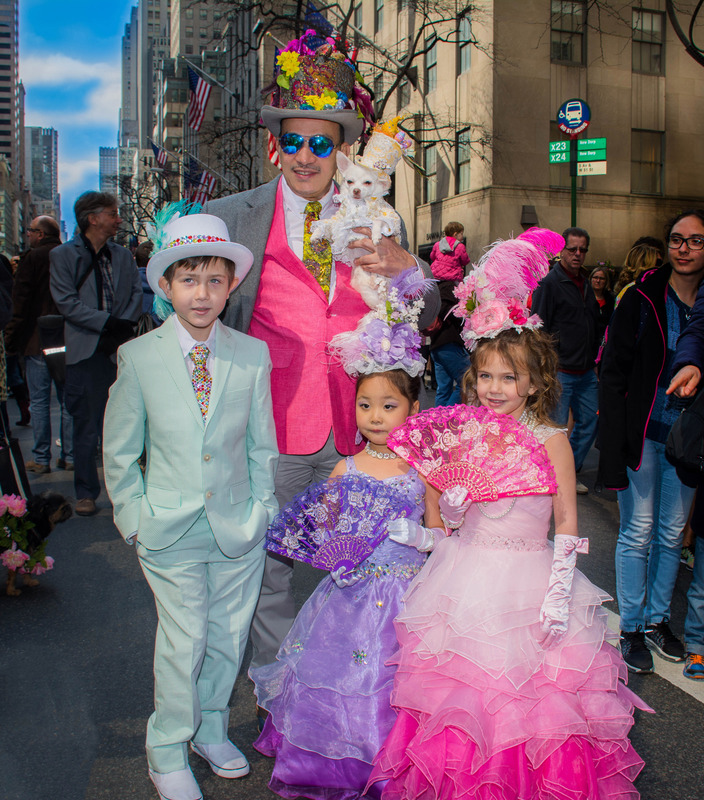 Throwback Looking back at the #EasterParade. 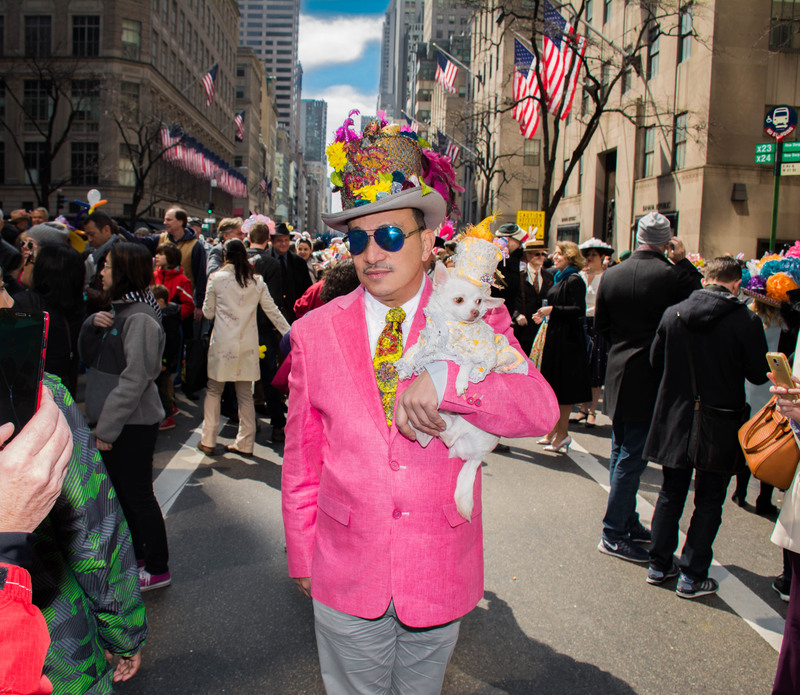 Photo by @TaylorImagesNYC I made my tie and hat and @BogieAndKimba's top hats and suits. . . . Enter your email address to follow Anthony Rubio and receive notifications of new posts by email.